In honour of Bram Stoker’s birthday I offer a review of Dracula Untold, the latest movie which draws on characters created by Bram Stoker in his novel Dracula. Like the novel, the film turns the historical figure of Vlad Dracula into a vampire. The following discussion gives away key points in the film. The film tells the story of how Vlad Dracula becomes a vampire to save his country from Ottoman forces. Narrated through the eyes of his son, the film is a confused melding of historical fact and fiction. Sadly the Vlad Dracula in Dracula Untold is less a formidable warrior and more a passive negotiator. After spending part of his childhood with the Sultan as a ransom, Vlad returns to rule his Transylvanian homeland bearing physical and psychological scars. Vlad is portrayed as a peaceful and benevolent ruler, a doting father to his son Ingeras and a loving and romantic husband to his wife Mirena. The only thing they fear is the encroaching Ottoman Army. Vlad dutifully pays the Sultan his tributes and hopes that as he obeys the law the Sultan won’t try and conquer Transylvania. Nonetheless he is constantly on the lookout for any signs of invading Turks. Early in the story representatives from the Sultan gatecrash dinner at Vlad’s. They have come for their monetary tribute and to tell Vlad the price has gone up – the Sultan now wants young boys for his army. When the time comes for Vlad to give Ingeras to the Turks, he meekly complies until, bullied by his wife, he finally decides to fight. And that is when we see the first glimpse of who and what Vlad Dracula is – a brilliant and deadly fighter! Sadly, that’s the only glimpse we get. Fearful of the Sultan’s retaliation Vlad becomes a vampire so he can fight the Ottoman Army. Using his newfound powers he single handedly takes on the Ottoman Army. After a few battles, Vlad finally wins the war but at the cost of his wife. Having secured the safety of his son, Vlad gives up his vampiric life, dies but is resurrected by a mysterious stranger. Ingeras is installed as the new Transylvanian leader. Ingeras talks about the legacy of his father, saying that people think he was a monster but that he knows the truth – his father died a hero. A major issue with this filmic Vlad Dracula is that he is so disconnected from his warrior past. When Vlad has to don his Dragon warrior suit of armour he is reluctant. Rather than being proud of his Dragon history he says it is something he wished he never had to do again! 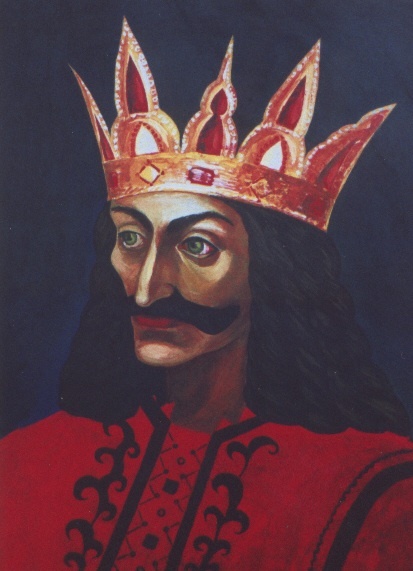 The historical Vlad Dracula was proud of his family heritage, the role he and his family played in protecting Wallachia from Ottoman rule and their ordination into the Order of the Dragon. The real Vlad Dracula never shirked away from battle. He was a master strategist and a fierce warrior. He fought until the end. Yet his skill and pride in being a warrior is not portrayed in the film. Vlad seems more a shambling desperado than a ruthless and strategic leader who foiled and bewildered the Ottomans time and time again. Vlad also appears to have no standing army and no way to defend himself from the Turks. The first battle he has after becoming a vampire is fought on his own. Vlad strides into enemy forces wielding his vampiric skills, but where are his Transylvanian soldiers? After the battle is won Vlad returns home where a few of his men are holding swords. Vlad eventually has to turn them into vampires so they can beat the Turks. This is not the army the historical Vlad led. The historical Vlad’s army was vasty outnumbered by the Turks but still managed to best them multiple times. Vlad’s role as a husband and father is also problematic. Vlad seems to be led more by his wife and his need to protect his son, than by his desire to protect his people and his land. One thing we know about the historical Vlad is that he put his country first and desperately fought against the encroachment of the Ottoman Empire into Wallachia. Little is known of his role as a husband and father but, for the small amount that is known it is probably a good guess to say he wasn’t going to be winning any husband or father of the year awards! For those of us with some knowledge of the historical Vlad Dracula, watching this cinematic version waltz around as a love-sick pacifist is deeply disturbing. But the main issue with Dracula Untold is that one of history’s greatest and most feared warriors is successful, not through his own skills, but by becoming a vampire and gaining supernatural powers. The real truth is the historical Vlad Dracula didn’t need magical powers to beat the Ottoman Army – he was just that good! So how did Vlad become a vampire in this filmic version? On one of his scouting missions Vlad finds a Turkish helmet in the river. Vlad thinks the Turks are holed up in a cave in Broken Tooth Mountain. When Vlad and his team investigate they find not just the dead Turks, but a monster who kills Vlad’s men and nearly Vlad himself. Vlad drags himself into the sunlight and saves himself – but not for long. After killing the Turkish soldiers, Vlad returns to the vampire’s cave to make a deal. He wants vampire powers so he can take on the Ottoman Army. 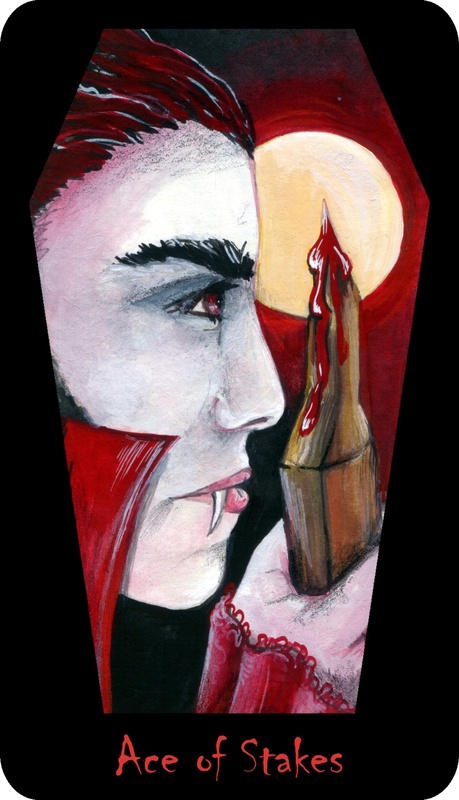 The ancient vampire makes a deal with Vlad and allows him to drink his blood. Vlad will have all the powers and all the restrictions that come with being a vampire for three days. If he can control his raging bloodlust for that time he will revert to being a human again. If he gives in to his bloodlust then he is doomed to remain a vampire. Vlad sets about conquering the Ottoman incursion in three days. Throughout his three days Vlad is able to curb his bloodlust even when tested by a stranger who tries to lure him into drinking his blood. On the final day of Vlad’s vampirism, Ingeras is taken by the Turks and Mirena falls to her death. As she lays dying in Vlad’s arms she forces him to drink her blood to become a vampire permanently so he will have the time and strength to save Ingeras. Most of Vlad’s subjects have been killed by the Turks so Vlad transforms the survivors into vampires. With his vampiric army Vlad is finally able to conquer the Turks and rescue his son. As he stands there with Ingeras, Vlad’s vampire army surrounds him and demands that he kill the human child for them. But Vlad has used his power to cloud over the rising sun and, to save Ingeras, he dismisses the clouds, letting the sun burn away his army and himself. Ingeras is taken away to safety by a priest. Shortly afterward, the stranger who tested Vlad returns and feeds Vlad his blood. Vlad is resurrected. The final scenes are set in the present day. Mirena, now named Mina, has been reborn and Vlad has come to claim her. The two walk off together, unaware that they are being followed by the ancient vampire from Broken Tooth Mountain. The ancient vampire says “Let the games begin”. And so the film ends. The vampire part of the film is the most interesting. Having a three day clause where you can have all the powers of the vampire and then give them back is an interesting idea. Of course you can’t drink blood in those three days. It is this aspect that is slightly problematic as much of Vlad’s vampiric time is spent trying not to succumb to his blood lust. We are therefore denied scenes of him drinking the blood of his enemies – although that does eventually happen! The main focus of Vlad’s vampiric power is his ability to use bats as an army. Vlad can summon a swarm of bats and aim them at the Ottoman troops. While they are busy protecting themselves from the bat swarm, Vlad, who can also turn himself into a flock of bats, wades in and kills them. The final battle is between Vlad and his Turkish nemesis Mehmed. It is a classic grudge match. Vlad and Mehmed were as close as brothers when Vlad was a “guest” of the Sultan. But now Mehmed has waged war on Vlad, killed his wife and taken his son. When Vlad confronts Mehmed in his tent he finds sliver coins strewn everywhere. In this film, vampires are allergic to silver. What is interesting is that the coins are Transylvanian – they are the tribute Vlad has just paid to the Sultan. When Mehmed throws coins into Vlad’s face he is symbolically “rubbing Vlad’s face” in his powerlessness. Weakened by the coins Vlad falls and Mehmed tries to stake him, remarking on the irony of the Impaler dying by being impaled. But Vlad uses his bat power to morph and ends up staking Mehmed. He then bites Mehmed and drinks his blood proving that Vlad is no longer a victim but the victor. One of the interesting issues with Vlad as vampire is that he, like his human self, lacks strategic knowledge. Once Vlad becomes a vampire he can use his strength to best the Ottomans but not his military know-how. It seems that every step that Vlad takes, the Ottoman Army is one step ahead – they find his monastery sanctuary and, while Vlad is engaged in battle, kidnap his son and kill his wife. By weakening Vlad as a man they have weakened him as a vampire. Vlad’s seeming ineptitude is so different to not only the historical Vlad but also to Stoker’s vampire Vlad. What makes Dracula so hard to find in England is his military background and strategic nous. Dracula plans his move from Transylvania to England with military precision. He buys property around the country for his hiding places. He employs multiple companies to do his transactions so that no one company or person knows all his plans. Fundamentally it is Count Dracula’s life as Vlad Dracula that makes him so hard to find and kill. He is ultimately caught, but only because the vampire hunters employ the same strategic skills as Dracula in their quest. The problem with combining the historical Vlad Dracula with the literary Count Dracula is that Vlad Dracula does not need Dracula. Prince Dracula is an incredible figure with a history that doesn’t need to be attached to vampire mythology. The real question is “Did the literary Dracula need Vlad Dracula”? Would Stoker’s vampire have been so powerful without the name Dracula? Would he have been so captivating without his Transylvanian history? It is a question that can never be answered, however I suspect he did. The beauty of Bram Stoker’s creation of the vampire Count Dracula is that he alludes to the history of Vlad Dracula but never actually makes anything really clear about the warrior Prince. We know that the vampire Count Dracula is the once human Vlad Dracula aka Vlad The Impaler/Tepes. There are some historical inaccuracies, but overall, Stoker remains faithful to the spirit of the historical Vlad Dracula. Similarly it is never made clear in the novel when, how or why Dracula becomes a vampire. Was Vlad a vampire during his years of battle with the Ottoman Empire? Did he become a vampire after his death? We also don’t know how he became a vampire. There is talk of him attending The Scholomance – the Devil’s School. Did he learn the art of vampiric transformation there? And why did he become a vampire? Did he turn willingly or unwillingly? Was it for power or for love? Again there are no answers in the novel. The reader is left with many questions and the power of their own imaginations! By not letting us know when, how or why Dracula became a vampire, Stoker cleverly leaves the historical Prince Dracula the dignity of his human history as a warrior and a Prince. If only this movie could have given Vlad Dracula the same respect. I think this is the best review I have read about the new movie Dracula Untold. I also believe the literary Dracula does need the name Dracula and the Transylvanian history. You certainly know your Draculas, absolutely brilliant. Wow – I’m so glad you liked my review! It’s hard to imagine Stoker naming the vampire anything other than Dracula. The name and the mysterious land of Transylvania just add so much mystique. I can imagine that you have studied your Draculas for a very long time, it shows in your writing and is always such a pleasure to read. I am so happy you are enjoying this blog!